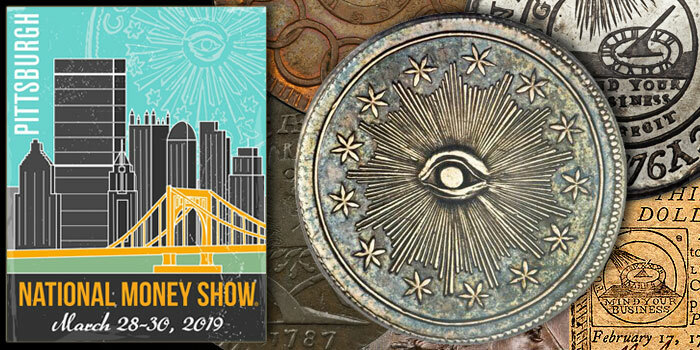 The American Numismatic Association’s (ANA) 2019 National Money Show® in Pittsburgh, Pennsylvania, welcomed a total of 3,002 people to the three-day event, held March 28-30 at the David L. Lawrence Convention Center. 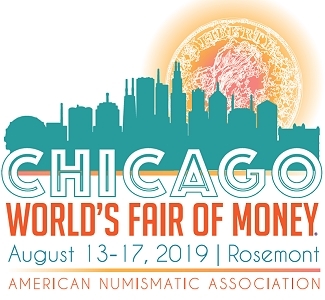 A major draw for numismatists and the general public alike were the collector exhibits and the Museum Showcase. On display were a 1913 Liberty Head nickel, one of a mere five struck, and a Class III 1804 silver dollar, one of eight known. 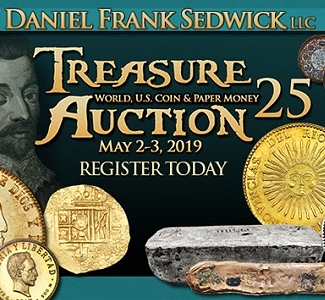 Also featured was a 1943 Lincoln cent erroneously struck on a bronze planchet, and a world-class case filled with historic Pennsylvania paper money. A 1933 Indian Head eagle (gold $10) on display was a bona fide showstopper. 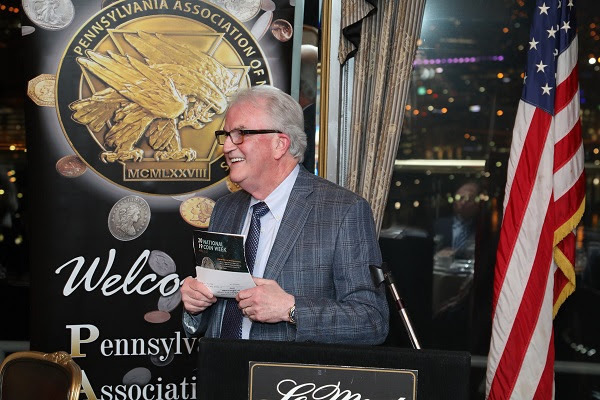 Former United States Mint Chief Engraver Don Everhart was the guest of honor at the ANA Legacy Series on Thursday afternoon, March 28. 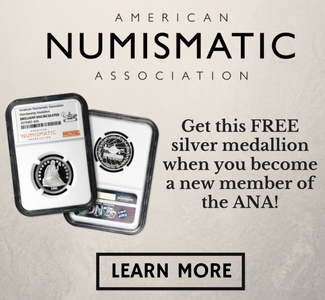 During the interview, moderated by Barbara Gregory, editor-in-chief of The Numismatist, attendees learned about his early years, professional challenges, and crowning achievements in the world of numismatic art and design. Everhart elaborated on his decades-long career during his Money Talks presentation, “Don Everhart: A Career in Coin Design,” on Friday, March 29. 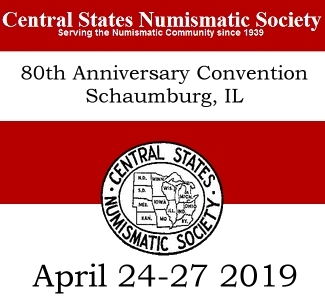 Nearly a dozen free Money Talks presentations were offered at the event, highlighting historically significant events, artistic vision and numismatic objects from around the globe. Eleven of the 14 individuals who have received the necessary nominations for the 2019 ANA Board of Governors election participated in the Candidates Forum on Friday, March 29 to answer questions and express their views on a number of topics. Video of the forum can be viewed on money.org/election. In what can be described as an unusual election, two individuals are running for president, two for vice president and 10 candidates are competing for seven governor positions. 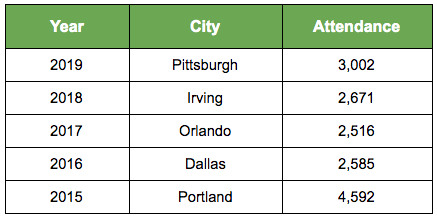 According to ANA Executive Director Kim Kiick, attendance at the Pittsburgh National Money Show was relatively slow on Thursday and Friday, but more than a thousand people registered on Saturday. “Pittsburgh is a working town and as such, most people couldn’t get to the show until Saturday,” she said. Tom Hallenbeck of Hallenbeck Coin Gallery agreed.